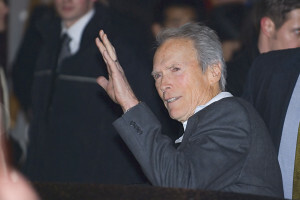 It seems that Clint Eastwood’s wife has made the jump from filing for legal separation to filing for divorce. As of this Tuesday, Dina Eastwood filed the paperwork to divorce the 83 year-old actor/director after 17 years of marriage. The couple met back in 1996 when Dina was interviewing Eastwood for a local television new station. The couple decided to marry in 1996 and had one child, Morgan, who is now 16 years-old. This would be Clint’s second marriage following a divorce from Maggie Johnson (1953-1984). Clint also had another relationship that was more long-term in the 70s and 80s with actress Sondra Locke. As for Dina, she mentions that the reason for divorcing Clint are irreconcilable differences. Back in September when she filed for legal separation, she also requested legal custody of their daughter Morgan. At the time when asked, Dina stated that she and Clint kept close contact, but had been living separately for quite some time.